Are you looking for ASUS X441BA driver? Then, here are ASUS X441BA-CBA6A drivers you should download and install to get your laptop operate properly. 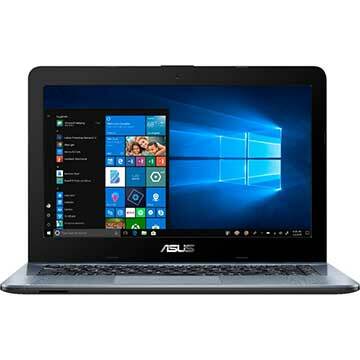 ASUS X441BA-CBA6A is 14 inch affordable laprop powered by 2.6 GHz AMD APU A6-9220 processor with integrated AMD Radeon R5 Graphics video card. This Asus notebook PC comes with 4 GB onboard system memory and 500 GB 5400RPM SATA HDD hard disk drive to store your files, musics, videos, and other documents. This mobile computer features 802.11b/g/n Wi-Fi, Bluetooth V4.0, multi-format card reader slot (SD/SDHC), Super-Multi DVD, chiclet keyboard, VGA web camera, Type A USB3.0 (USB3.1 GEN1) port, Type C USB3.0 (USB3.1 GEN1) port, HDMI port, stereo 3 W speakers with ASUS SonicMaster Technology, and 3 cells 36 Whrs battery.